First, my apologies for not posting this earlier. I started on it the day after the concert, but got side tracked by graduate school work. Now, with that out of the way, on to the good stuff! Kudos to Dr. Scott B. Spencer, adjunct professor in the Honors department at Villanova University, for giving an outstanding lecture titled, “How the West of Ireland Helped to Save Uilleann Bagpiping” on February 18. This free lecture was an enlightening portrait of how an instrument and those who knew how to unlock its complex tones almost died out, but then enjoyed a resurgence in popularity in the early 20th century. 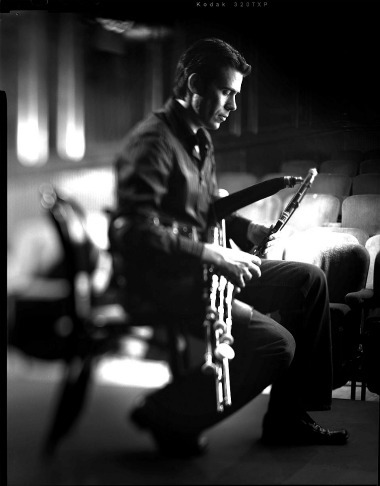 Men and women alike joined piping clubs to play together and make sure that the art of uilleann piping would continue. My fascination with bagpipes goes back to second grade. Ever the Air Force brat, I had just transferred to Walter Hall Elementary School in League City, Texas, right around the time that the school had “World Cultures” week. My group of classes were dedicated to the UK and Ireland, and as a special treat, we had a highland bagpiper perform for our class. As soon as I heard the tones competing with each other to escape the big bag and slender pipes, I was hooked. I looked around, and almost everyone else was making faces akin to what you might look like if you witnessed a group of alley cats being skinned at the same time. I, on the other hand, was entranced. Anyway, so I went to the lecture and the accompanying music concert that evening expecting a similar experience. Oh Laura, you stupid stupid girl! Uilleann is the Irish word for elbow, thus making uilleann pipes an appropriate name for the instrument I saw. Instead of a giant bag like the highland pipes, these pipes were operated with a bellows that is pressed by the pipers elbow while the fingers operate the chanters to create a full two octaves of melody. It is typically played while seated. Meanwhile, the drones can play underneath all of this, thus creating an incredibly complex instrument that takes a good deal of training and talent to successfully operate. Internationally acclaimed piper Ivan Goff was available during the lecture to clarify points and answer questions. It was great to hear it straight from the horse’s mouth, so to say. 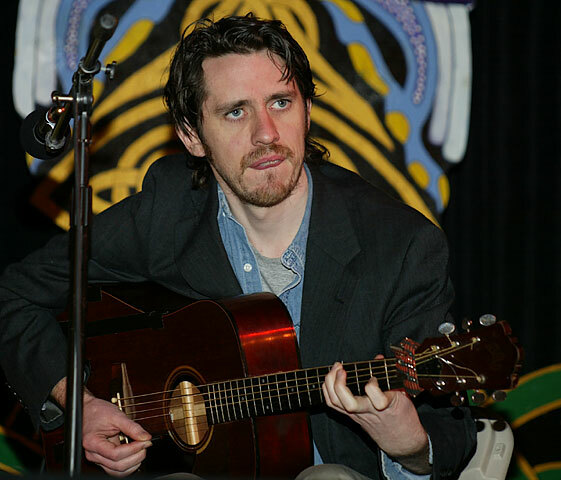 Later that evening, he performed with Eamon O’Leary on acoustic guitar. Actually, his guitar looked more like a lute and he said that it wasn’t a traditional acoustic guitar, but I didn’t catch what particular kind of guitar it was. I suppose it doesn’t matter. What does matter is that the man made magic with that guitar and the two men worked well together to showcase the best of both instruments. Goff also played a few pieces with tin whistle and O’Leary sang several songs. Eamon O'Leary. Photo by Steve Farmer. As a flautist myself, I can honestly say I’ve never seen anyone do what Goff did with a tin whistle. It was truly amazing. The evening was filled with traditional Irish music and was enjoyed by all. The Philadelphia Ceili Group has done a wonderful job of putting together a superb lineup of musicians for the 2012 season and the tickets are incredibly cheap for what you get out of it. To learn more about the Philadelphia Ceili Group and the wonderful array of lectures and musical performances that are open to the public, please visit http://www.philadelphiaceiligroup.org. This entry was posted in Music and tagged Bagpipe, Eamon O'Leary, Ireland, Ivan Goff, Music of Ireland, Philadelphia Ceili Group, Tin whistle, Uilleann pipes, Villanova University by S.D. McPhail. Bookmark the permalink.